Being vegan in my own home has always been pretty easy, especially once I developed some cooking skills. Similarly, I have mostly been pleasantly surprised with how easy it has been to be a vegan parent in my community. However, there are times I’m reminded that we are a vegan family living in a non-vegan world. Most of those times are no big deal – other families talking about picking up burgers for dinner, or all the talk of wings and barbecue during football season. Frankly, these moments barely enter into my consciousness anymore. However, social situations that are focused on food are a whole other animal (no pun intended). Be it potlucks, holiday parties or Halloween, social events that are food-focused often foster a bit of anxiety for me, and for years, none more so than kids birthday parties. I already have a bit of social anxiety, so when you couple that with the idea of going to a birthday party at the home of a family I don’t know and having to explain that we are vegan, well, my social anxiety jumps up a notch. We got away without much birthday party stress for the first few years of my son’s life. When he was 3 and 4, we were members of a co-op preschool with families who were vegetarian, gluten-free, kosher, and all-around lovely people. When we were invited to parties, the other parents made sure to have vegan snacks available. All I ever had to do for these parties was bring a cupcake or a few cookies just in case the main treat wasn’t vegan, and my son was a happy little camper with all the snacks, activities and general birthday party excitement. However, when my son started kindergarten we were soon invited to the first birthday party of a school friend with whom we weren’t especially close. I had to figure out how to address the fact that we were vegan and do so in a way that wasn’t annoying or stressful for the parents who were hosting the party. It felt like a daunting task, but after a few short emails, baking some cupcakes, and wrapping a gift, my son and I were ready for his first school-friend birthday party. It went beautifully – he had a great time, there were plenty of vegan snacks for him to enjoy, and even the cake portion of the celebration was no big deal as I slipped a chocolate vegan cupcake on his plate. Of course, reflected in this experience are a number of steps I took to help things go smoothly. 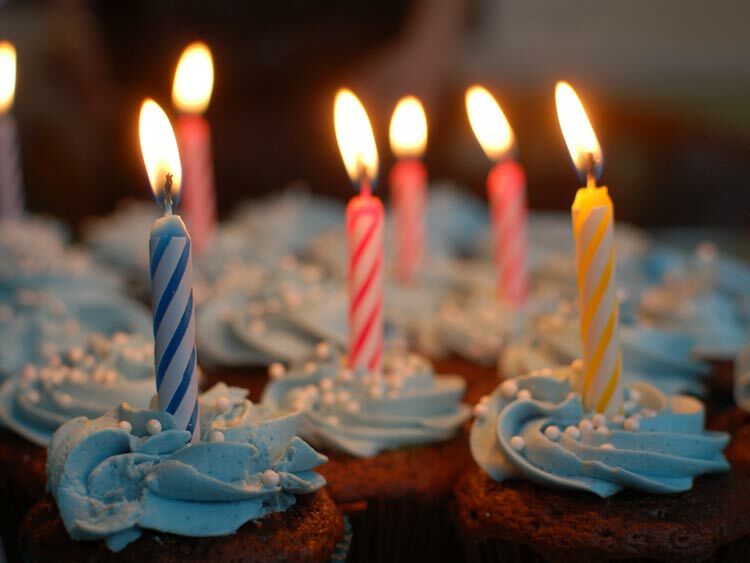 Since then we have been invited to more birthday parties and I have honed these strategies down into four guidelines that help me with birthday parties and other social events every year. Thank you so much for inviting L to V’s birthday party. He is already quite excited about it! I just wanted to quickly let you know that we are a vegan family, so L doesn’t eat any dairy, eggs, or meat. If you could just let me know what food you are planning on serving at the party I will be happy to bring a vegan version of it for L. For example, if you are having pizza or cake I can easily bring dairy and egg free versions of both. It’s super simple and no big deal. Just let me know the food plan for the party and I’ll take it from there. Thanks again and I’m excited to see you on ___! Be prepared: Come to the party with a snack and a treat for your child. Your host may or may not have vegan options available, and they may or may not have a clear understanding of what food is vegan. I still meet people who think that eggs are vegan or that chicken broth “doesn’t count.” It also doesn’t hurt to give your child an early meal or snack at home so that they aren’t super hungry at the party. Finally, it’s good to be prepared with your vegan cliff notes. Someone is probably going to ask how long you have been vegan, why you became vegan, etc. It’s nice to have a few sentences ready that are simple and to the point, so you’re not fumbling uncomfortably for an answer on the spot. Be honest and clear with your child: Younger children tend to take things at face value. My son and daughter just accepted that we didn’t eat meat, dairy, or eggs for the first four years of their life. After that, they started to ask more questions, which my spouse and I were happy to answer. However, it has been important for us to also explain to our children that people who eat meat, dairy, and eggs aren’t “bad.” Essentially, I wanted to make sure that my kids didn’t exclaim at every event we went to, “That cake is bad! It has cow’s milk in it.” Do I want them to speak their truth when they are ready? Yes, absolutely. But I also want them to be able to live comfortably in a non-vegan world, and part of that means holding some opinions in check, even as they are sorting out what is vegan and not-vegan in their black-and-white view of the world. Be gracious: At that first birthday party, the host kindly offered to buy a chocolate cupcake at Whole Foods for my son. It worked out better for me to bring one, but I went out of my way to thank her for the offer as well as the fruit she served, the kindness she showed my child, and for the wonderful event. When parents are hosting parties they are often worried about how it will go (I know I am). Going out of your way to show your appreciation – especially as the “vegan” – goes a long way in making fellow parents feel good about their party and the accommodations they made for you and your child. On the way home from that first party my son told me it was “the best party ever!” and I breathed a sigh of relief when I realized I could handle my vegan kids at non-vegan parties. As in many instances before, I was reminded that it’s not so hard to be vegan in a non-vegan world if you move forward with a bit of humility, compassion and a good game plan. Come to think of it, that is also the perfect recipe for parenting in general!